It’s also known as cushion and can be found in every home, in each part of the world. 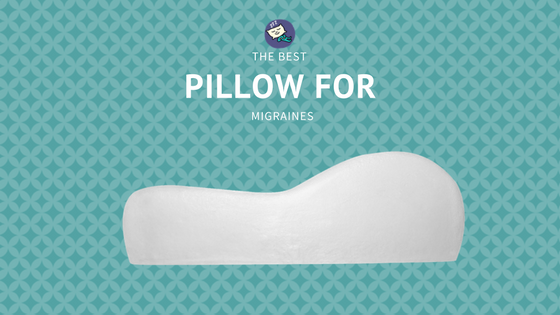 The pillow represents one of the most important aspects for comfort, health, and productivity. Many different types of pillows are available today, which come in different sizes, shapes, fillings, or purposes. However, despite the wide variety, choosing the wrong one might cause back and neck pain. Moreover, it can make people wake up achy, sore, and tired. And while the opting for the best pillow for sleeping can make a difference in productivity throughout the day, not many people pay attention to this small but important – the pillow. According to studies, a person spends one-third of his or her life sleeping. This means that not keeping the back straight and the neck aligned with the rest of the body for eight hours each day will cause health issues in the future. To some extent, choosing a pillow is a matter of personal preference. On the other hand, being misinformed about how and why to choose the best pillow for sleeping could have irreversible health consequences. 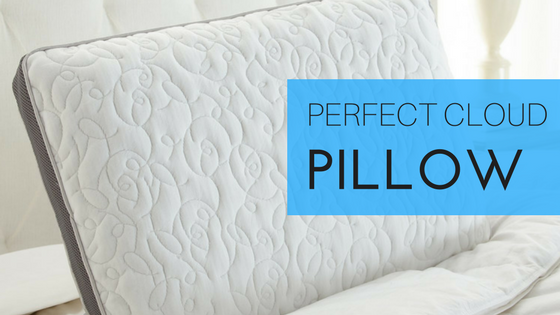 In this article, we will further discuss what medical complications could a bad pillow cause, as well as the most important factors to take into consideration when purchasing one: sleeping position, material, and size. The existence of the pillow dates back to ancient times. Although taken for granted today, the pillow has been a luxury item throughout history, available only to the upper class of a society. Moreover, despite its usefulness for comfort today, the pillow had a different use at its origin. Many historians believe that the first pillow was created around 7000 BC in Mesopotamia, i.e., today’s Iraq. People did not use it for comfort or health purposes: the pillow was mostly used to keep different insects from crawling into a person’s hair, nose or mouth. What’s even more interesting about the ancient pillow is that it was made out of stone – a material which is clearly less comfortable than the ones people use today. Pillows made from stone, or other hard materials, can also be found in Ancient Egypt and China. While taking into consideration the benefits for the spine, neck, and blood circulation, Ancient Egyptians carved pillows from wood and believed pillows had a mystical element. They believed that the pillow protects the head, the central spiritual part of the body. That’s the reason why many historians think that Egyptians used the pillows for the mummies of the wealthy. On the other hand, in Ancient China, we can find pillows carved in a similar manner. However, now we are talking about a multitude of materials used for building pillows, as well as the first decorative pillows. Porcelain, bronze, jade, stone, bamboo, and wood – all these materials were used to craft beautifully ornate pillows. In Ancient China, we can find clues why Chinese did not craft pillows from softer materials: Softer pillows stole energy and vitality from the body during sleep. Also, these pillows were ineffective at keeping demons away. In Europe, the pillow becomes an item of comfort. The ancient Romans and Greeks were the first to create soft pillows from feathers and straw. They made them this way for hedonistic reasons, i.e., for their own comfort. While during the Middle Ages the use of pillows has fallen out of favor – only Kings and pregnant women would use them, the general belief being that sleeping on a pillow was a sign of weakness - it was the Industrial Revolution that brought the pillow in each household. This was due to technological advances. During the Industrial Revolution, the new machinery made possible the mass production of textiles. As the pillow stopped being a luxury item and became a commodity, medical researchers have started studying the impact of the pillow on the human health. Today, all around the developed world, people are not only looking for a pillow to lay his or her head on. Health research and interest have brought awareness about the benefits of the pillow. 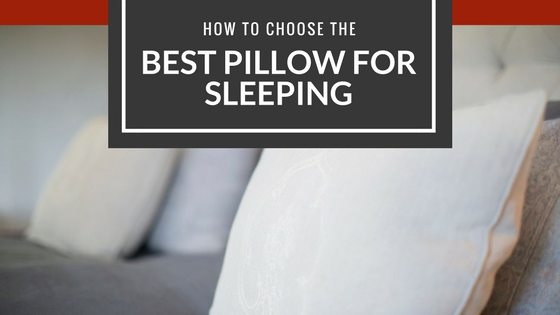 Why It Is Important to Choose the Best Pillow for Sleeping? The pillow had gone a long way in the history of humanity, being used for different purposes throughout civilizations and ages. Today, experts are aware of the consequences that a pillow could have on an individual’s sleep, life and overall health. That’s why we have thousands of pillow designs and many filling for the best pillow for sleeping. An inappropriate pillow can cause severe neck pain if not careful: nobody wants to wake up dizzy and in pain. However, neck pains are not the only problem, and in the following parts, we will develop more on health issues that a bad pillow could cause. A survey done recently in the United Kingdom concluded that 67% of people had reported sleep and comfort problems. In most cases, the problem lay in the use of the wrong pillow, or at least not changing the pillow when getting lumpy. A person requires an adequate amount of sleep to be healthy and productive, and the pillow directly affects sleep quality. Having the right pillow is not only a matter of comfort. The pillow plays an important role in supporting the neck, back, head, spine, and hips. Using the right pillow helps prevent many of the common forms of pain produces in these areas of the body. We can confidently say that it is crucial for most of the spine problems. Therefore, keeping your head too high – and not maintaining a straight position of your spine – will bring health issues in the long term. The first thing any person can do is to purchase a pillow that will ensure the best sleeping position. Nobody wants to wake up with a neck pain caused by an inappropriate pillow - or a back pain, or a headache. That’s why it is important to take into consideration the different characteristics when purchasing a pillow. The main elements that anyone should consider is their sleeping position, their size (Depending on the person’s height, weight, or torso circumference, different pillows come with different consequences. ), and the material that the pillow is made out and most importantly filled. If we were to ask any orthopedic or pillow specialist what the most important factor when choosing the best pillow for sleeping is, the first answer will be that the sleeping position plays a decisive role. A secondary factor is the individual’s size. A 200lb man has other needs than a 120lb when it comes to sleeping. Basically, there are 3 sleeping positions: lying on the back, lying on the stomach, and lying on the side. Although there is no general consensus, and there surely are exceptions, some recommendations about what kind of pillow an individual should choose according to sleeping position exist. For people who sleep lying on their back, flat and thin pillows are highly recommended. These pillows help support the neck and spine, improving sleep quality and preventing long-term health issues concerning the. It is worth to note that the pillow shouldn’t be too thick. Otherwise, it will push the head too forward. It should also not be too soft. In this case, the head will sink down. The person needs to test the pillow to conclude if it is the right one for him or her. What matters, in the end, is that the neck stays comfortable during the sleep. 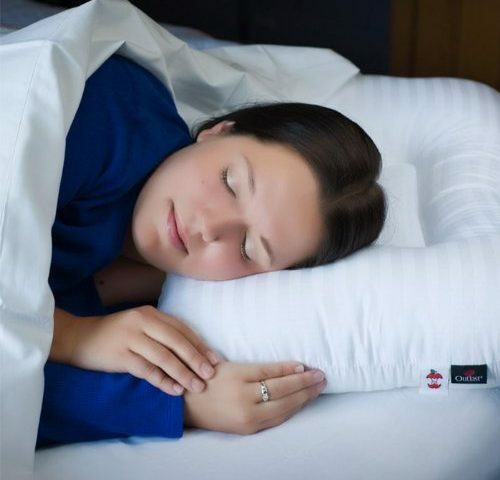 Check out here for Pillows for Back Sleepers. If the preferred sleeping position is on the stomach, some experts advise using no pillow at all. While this is discussable, some recommendations on best pillow for sleeping can be followed. 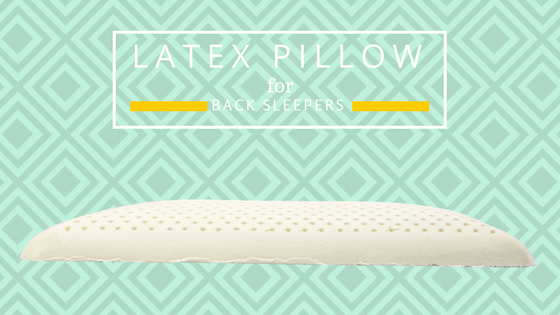 Because back sleepers do not need much support from their pillow, thinner pillows are recommended. 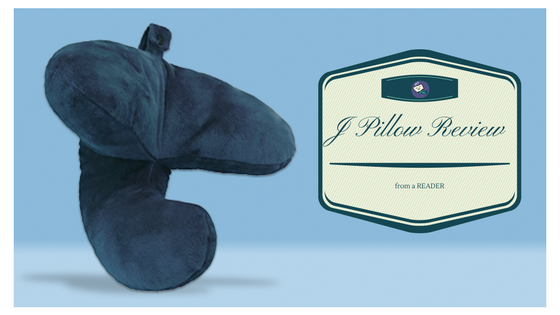 These pillows prevent the head from rising too much, helping prevent possible neck pains. Placing a pillow under the stomach is also a great advice for people who find this position comfortable. This helps prevent lower back pains. Also, for keeping the spine in a healthy position, soft pillows are recommended. 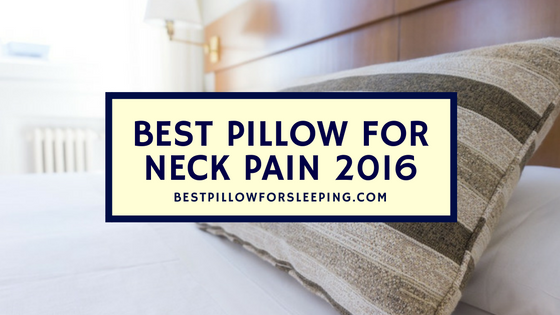 A soft pillow will allow the neck to stay in line with the spine, thus avoiding neck pains in the future. 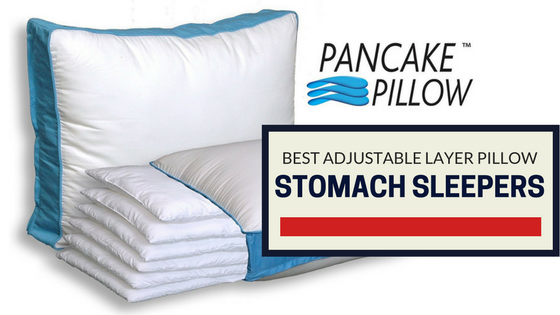 Check out here for Pillows for Stomach Sleepers. Last but not least, side sleeping has its own prerequisites, too. Some believe that this position is the least healthy, despite being the most comfortable. The reason for this is that the spine and neck stay in an abnormal position. However, choosing the best pillow for sleeping in this position will prevent any harm of the neck and back. A contoured pillow represents a great choice here. Also, most of the time, specialists advise placing a pillow between the legs. This pillow allows the spine to stay in alignment, leaving the back not feeling the strain from side sleeping. Check out here for Pillows for Side Sleepers. All the advice concerns medical issues that might arise from bad sleeping. Since no two individuals are the same, different people will have different comfort needs. This is where pillow size matters. A 200lb man will need a bigger pillow than a 120lb man. He will need a bigger pillow in order to get the best support for his neck and back. Although not the same thing, comfort and health go hand in hand when choosing the best pillow for sleeping. The lack of comfort can be a symptom of the back and neck not relaxing sufficiently. Size matters as much as sleeping position, though the second is the first thing to consider when purchasing a pillow. The material from which the pillow is made represents another characteristic that affects sleep quality. 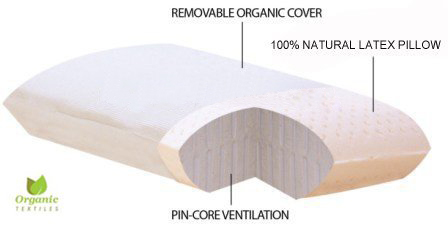 While pillow texture mostly concerns issues of sanitation and hygiene, a pillow’s filling plays an important role in how the neck and back are positioned. Today, we have a great variation of pillow fillings to choose from. The traditional feather pillow is still available, but many other pillow fillings can bring great health benefits along with comfort. We can classify pillows in the following way: sleeping, decorative, and orthopedic. While they can be distinct among one another, the categories usually overlap. A decorative pillow can make a great sleeping pillow for someone who takes a power nap in the living room, and an orthopedic pillow, although used for medical purposes, makes a great sleeping pillow. These different pillows have different fillings, and choosing what’s right depends on what makes the person feel comfortable. For example, for back sleepers, who feel most comfortable with pillows that are soft, pillows with memory foam filling are highly recommended. 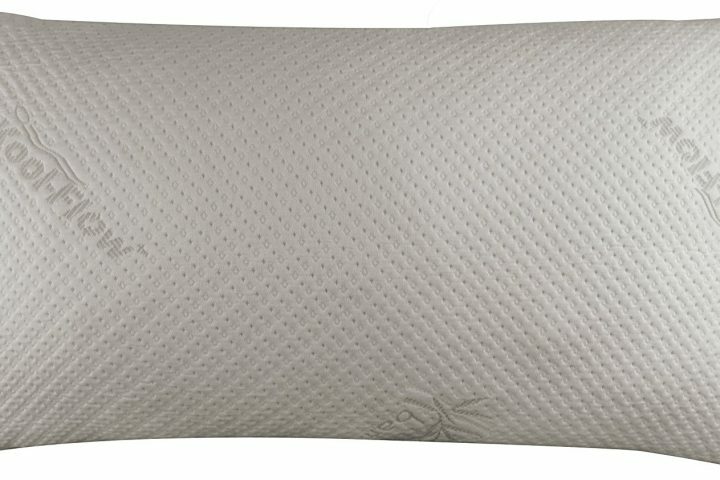 Made of polyurethane and additional chemicals, the foam pillow feels soft and helps to hold the head in a comfortable position. 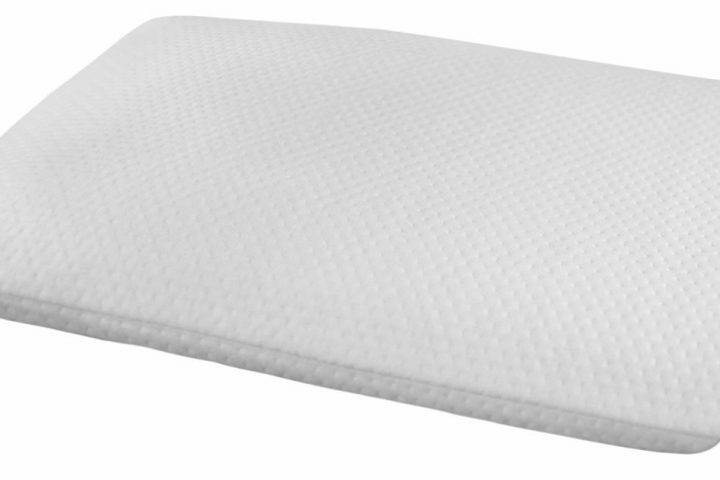 Moreover, memory foam pillows adjust to each individual’s head, taking his or her head shape and protecting the neck. On the other hand, if softness is not a concern, and a hard pillow brings more comfort to the neck, then a pillow filled with feathers constitutes the best choice. Another fashionable pillow today is the latex one. Filled with a sap of rubber trees, this pillow is very elastic and resilient. Moreover, if allergies concern the person then this is the best choice to take into consideration. That’s because the latex pillow is mold resistant, tending to be better than memory foam. Of course, there are many materials to fill a pillow – for example, pillows are filled with cotton in India. In the end, what matters is the individual’s comfort during sleep and his or her overall health. Does the back align with the neck? Does the person feel neck pains in the morning because of the pillow? These are questions that anyone should take into consideration. The pillow has been around since ancient times, and it has played an important role when it comes to rest and health. There are a variety of pillows today, serving different scopes, having different fillings, and coming in different sizes. Although we have some general guidelines and criteria for choosing the best pillow – such as sleeping position and size - every individual differs. 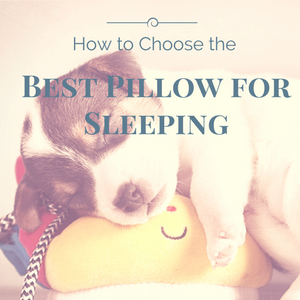 Therefore, everyone needs to test different pillows in order to choose the best one. If a person feels comfortable and doesn’t sleep in an abnormal position, then the pillow is the best choice. We’ve discussed comfort and health when it comes to choosing the best pillow for sleeping. Before we end this article, we want to leave some advice and tips on pillows. 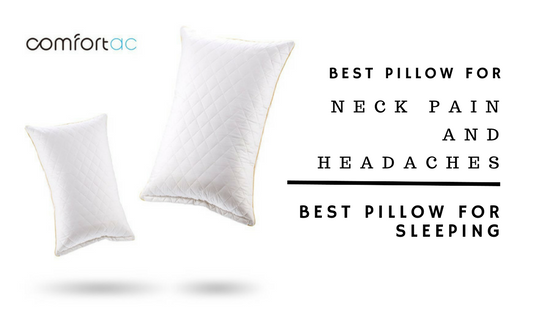 For people already have neck pain frequently, please check category: Pillows for Neck Pain, you will find specific pillows which we choose carefully are designed for releasing the neck pain during your sleep, particular those adjustable ones. Busy people who are traveling a lot, taking long-haul flight often, for your comfort and neck pain-free after a long time in plane or car, we suggest you take a travel pillow for you. You will find our earnest travel pillow reviews. Specialists recommend that to purchase a new pillow every 12-18 months. If the pillow gets lumpy and loses its normal shape, then this is a sign to buy a new one. Always use a pillowcase to cover the pillow. For hygiene reasons, you can wash it more often than the pillow. Orthopedic pillows are most recommended for spinal alignment. However, the most important factor in determining which pillow is best remains comfort. Most retailers allow clients to test pillows on the spot. Always test them by taking your sleeping position for five minutes. If they don’t have testing beds, then stand next to a wall in your favorite sleeping position. If the neck is aligned as it should, then the pillow is perfect. According to studies, a person spends one-third of his or her life sleeping, the opting for the best pillow for sleeping can make a difference in productivity throughout the day.